The Way of St James has many strands en route to Santiago de Compostela in Spain. The Austrian route is called the Jacobsweg and passes through Salzburg and the Tyrol. We have selected hotels close to the path, and are developing an itinerary with a pilgrimage theme. 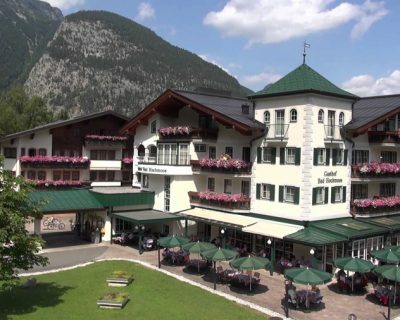 We offer a one week holiday with a choice of three hotels with a two night stay in Oberammergau at the end. Our selected hotels are situated in picturesque countryside about an hour’s drive from Salzburg, which you will visit. The Heigenhauser and Alpenland hotels are in village settings, and Gasthof Bad Hochmoos is in the countryside, a ten minute walk to the village of St Martin. Our week will have a pilgrimage theme including a visit to Maria Kirchental, also known as Pinzgau cathedral, in a spectacular mountain setting and a walk on the Jacobsweg along the shore of Lake Pillersee. Your holiday price includes a programme of excursions and a top grade Passion Play ticket. All of the holidays in this brochure are escorted group holidays. One, or sometimes two airports have been allocated to each departure date. Check our website, or call the McCabe office to find a group travelling from your area. 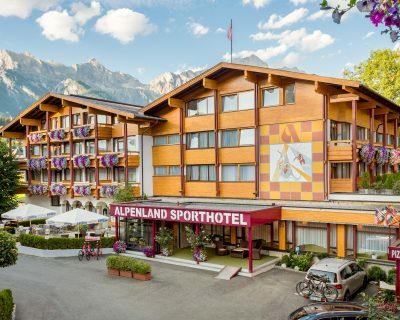 The Alpenland hotel is a larger property with an indoor swimming complex in this pretty alpine village, with mountain gondola, just ninety minutes from Salzburg. 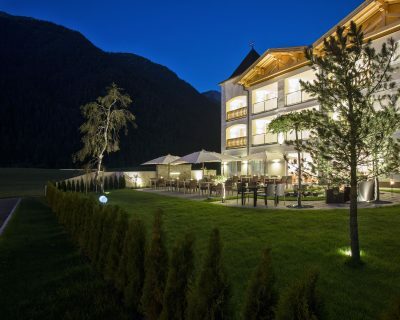 Hotel Heigenhauser in Waidring village is located near the Jacobsweg an hour’s drive from Salzburg and our itinerary will have a pilgrimage theme.